* – Someone drove me up the road in a perfectly comfortable car. ** – The scenery was beautiful but due to the altitude it was really difficult to make good tea. It’s a few minutes before sunset. 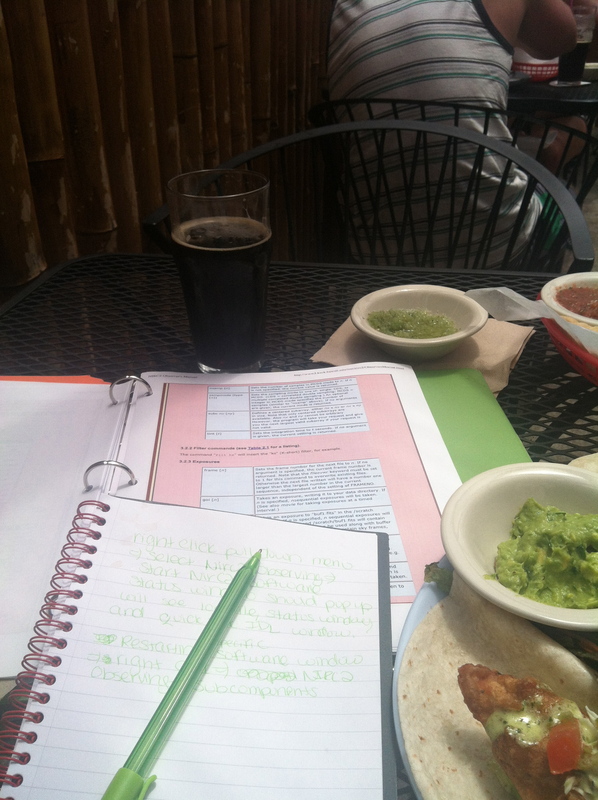 I’ve gotten the “keys” to Keck 2, and I am currently making the final preparations for the start of the night. It looks like it’s going to be a clear night from the weather report, and the cloud deck has already sunk below the summit. The instrument, NIRC2, has been checked out and initialized. Calibrations including dark images and flat field images have been taken. My starlists are uploaded. I’ve got plots of where the targets are in elevation (or airmass) on the sky. As you can see from the plot above, I’ll be mainly looking at things all in the same place. Not a surprise since I’m going to be looking at the stars in the Kepler field which span ~100 square degree patch of sky. The beginning of the night, the Kepler field isn’t quite up, so I’ll be doing other targets for collaborator, but once the Kepler field is high enough, we’ll slew Keck 2 there and get to work. Since it’s my first time on the instrument, the support astronomer will stay with me for the first part of the night, and leave once I’m settled in. I won’t control the telescope, the operator on the summit will do that, but I’ll have control of the camera and decide which targets we go to next. You can check out the all-sky-cam for Mauna Kea and see how it looks during the night here. This is part 3 of my Keck NIRC2 observing log. (See Part 1 and Part 2). So I can’t sleep, so I decided to go take some photos of where I’ll be sitting all night. 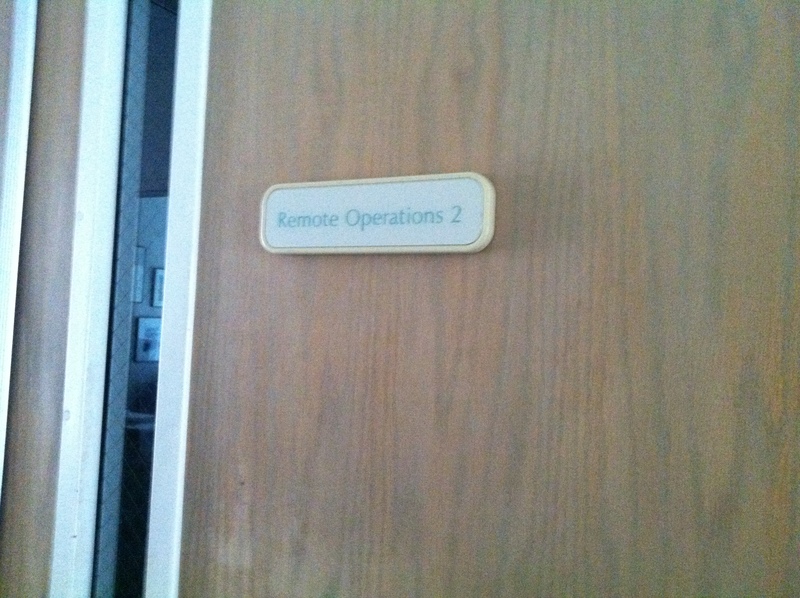 So here’s what it’s like to be in Keck Remote Operations Room 2. Telescope status info on the big screen. Smaller screens below will have all the instrument information and control interfaces. I’ll be sitting here for the night. 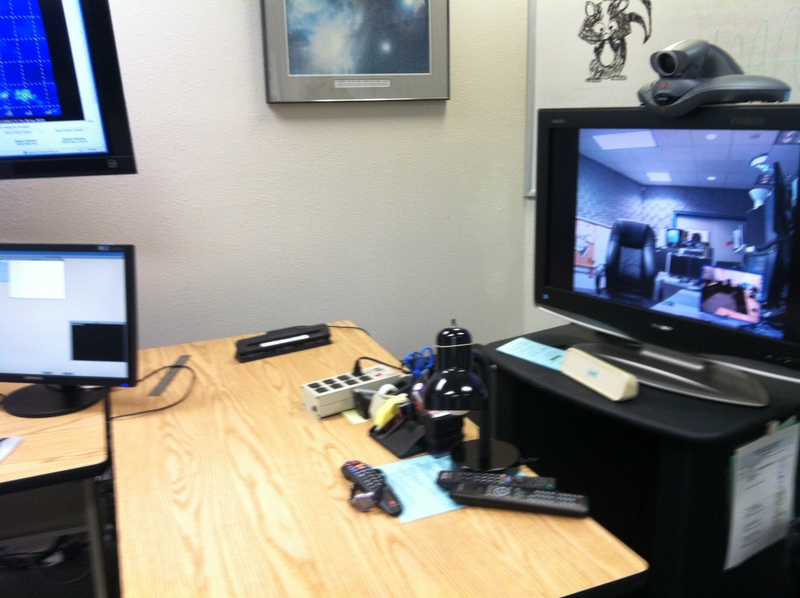 Polycom that allows me to remotely video conference with the telescope operator on the summit (I’ll at sea level in Waimea not on the summit). You can see a bit of a view into the summit control room. On the way out. Those windows actually lead to a view of the hallway. Greetings from Hawaii. 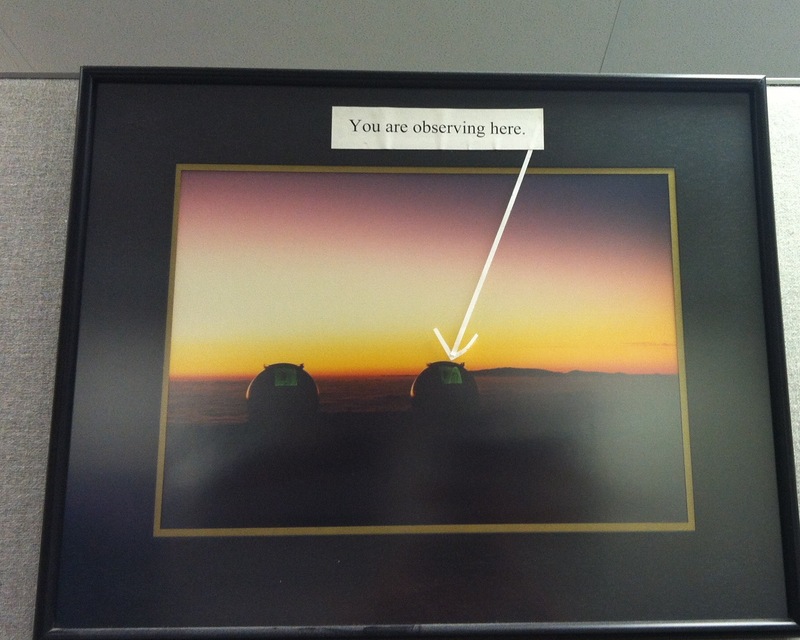 I’m here for observing on the Keck telescopes. 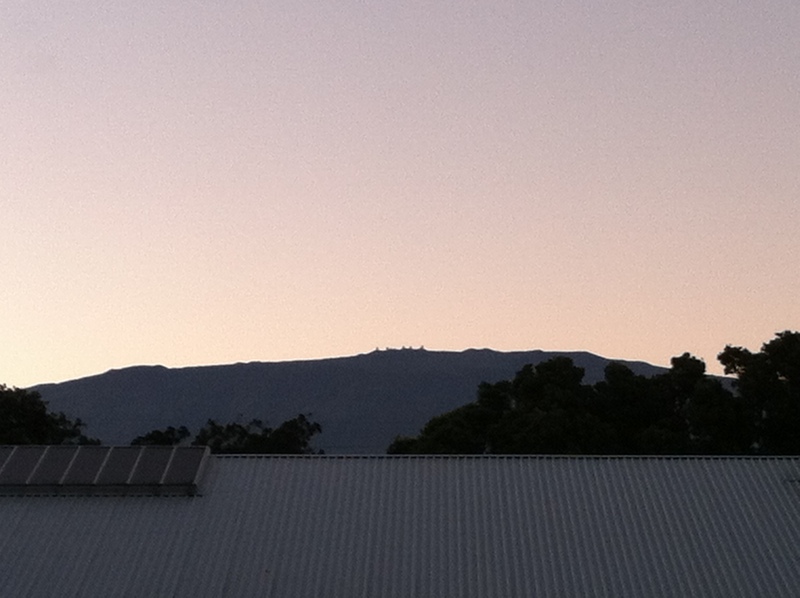 It’s 5:45am in Hawaii, and the Sun has just risen. I’m sitting here in my Keck Visiting Scientist Quarters (VSQ) dorm eating a microwaved breakfast burrito and just about to head to bed. My observing night is today or rather tonight on June 28th local time in Hawaii, but I’ve been up all night to try and adjust to being on a night schedule so I’ll feel better tomorrow when I actually need to working . I also go to spend the later part of the night sitting in while last night’s observers were taking data. I’ll get to that in a bit, but I want to talk about earlier in the day first. Yesterday afternoon and evening, I tasked myself with reading over the instrument manuals and webpages again, taking notes, and typing up a cheat sheet of useful commands, instrument parameters, and things to remember. This included a walk from Keck to a taco joint a short distance down the road where fish tacos were hand and instrument manuals were read. 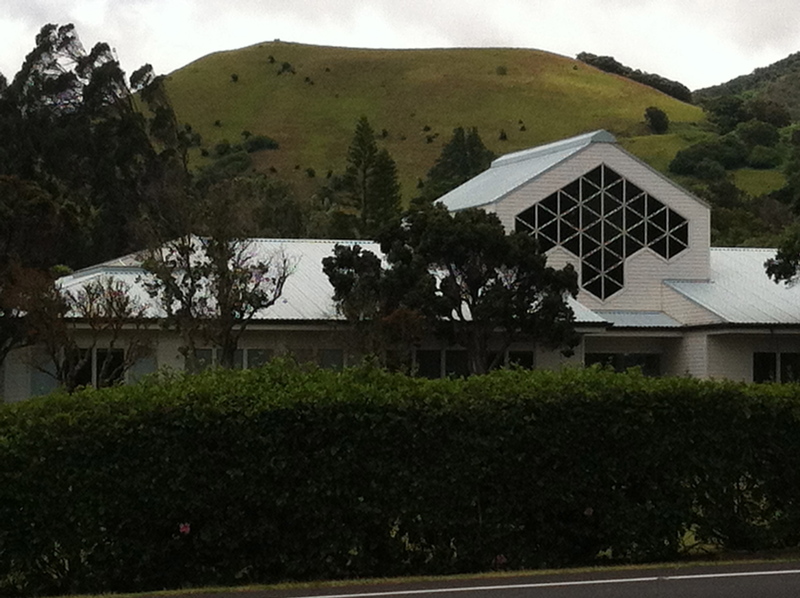 I took some pictures on the walk over on my quest for tacos to show you the main Keck HQ building from the street side. 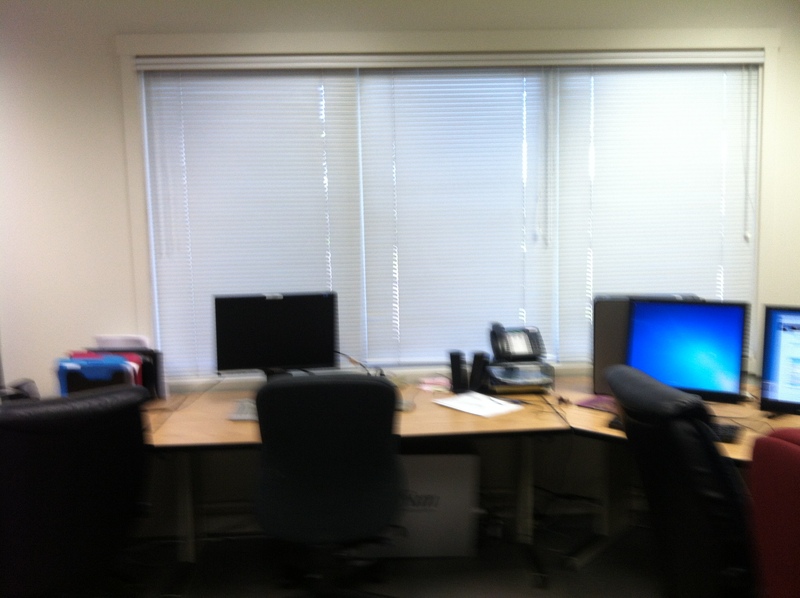 You can see in the image, the glass window has hexagonal panes. That’s a nod to the Keck mirror design which is an assemblage of 36 hexagonal mirrors combined to make the full 10-m collecting area. The early evening, I slept so I could be up and awake much later in the evening to sit in and eavesdrop on the current night’s observers who had the second half the night. I arrived around 2am, and they graciously let me hang out in the remote room typing up my notes, and asking questions here and there about using NIRC2 and the natural guide star adaptive optics system. I got a chance to quietly watch over their shoulders to get a sense of what the general procedure was for executing an observation from start to finish. 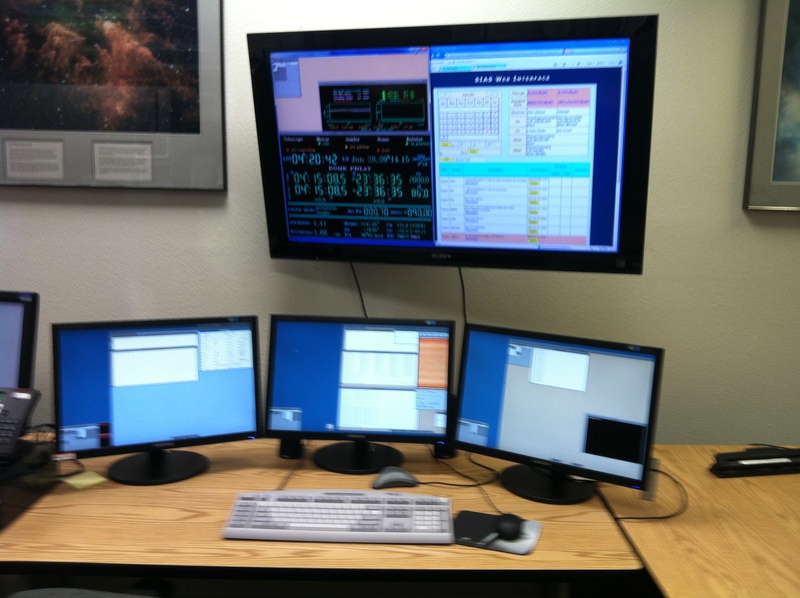 I’m now feeling more comfortable with the NIRC2 guis and command interface for tonight’s observing. 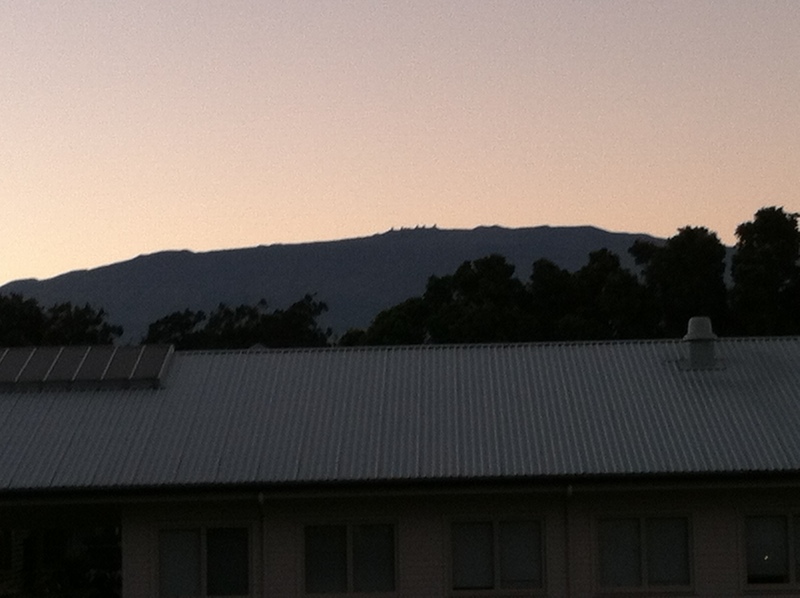 This morning, the skies around Mauna Kea are clear, and you can actually see there’s a mountain in the distance. 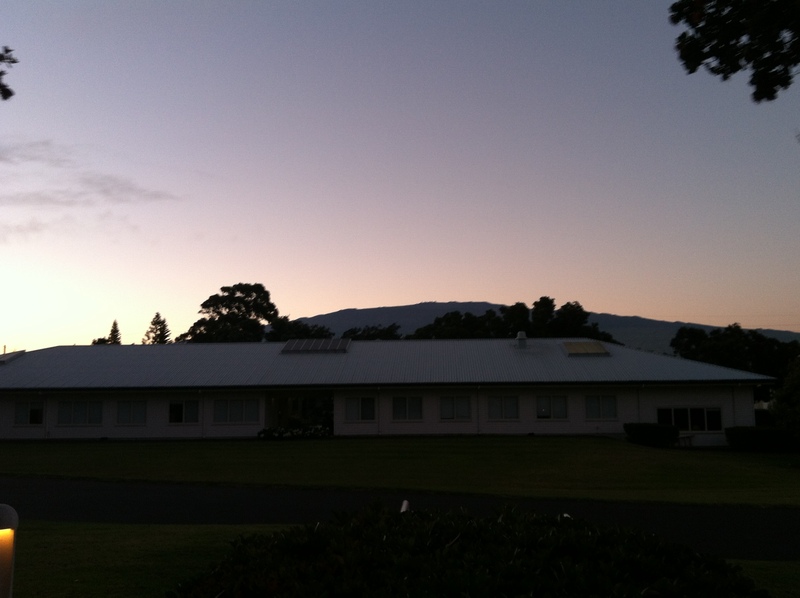 With my back to the dorms facing the main Keck HQ building, here’s the view of Mauna Kea at early sunrise. If you squint (or zoom in with your camera), you might just make out that there are telescopes on top. And so with that, I have a starlist to make tomorrow afternoon, and I meet with the support astronomer in the mid afternoon to go over setup and get me situated with the calibration images. I’ll take lots of pictures of the remote room tomorrow, but for now it’s time to sleep. The Kepler field will be high in the sky starting in the next month or so and continuing over the Summer months. Thanks to all of your hard work and classifications, the science team has been writing observing proposals to ask for telescope time on the the Keck telescopes in Hawaii to follow up on our best planet candidates. We’ll learn in a few months whether we have been granted the nights. So stay tuned! In the meantime, the team is continuing to search for new planet candidates with your classifications and Talk comments. 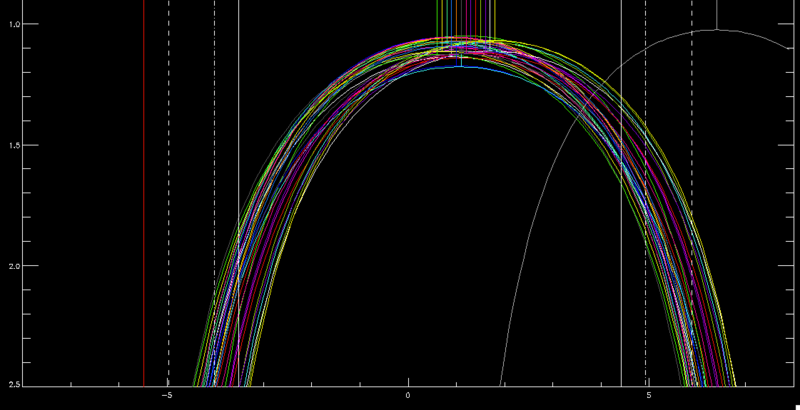 You have been analyzing light curves from Quarter 7 released by NASA during Kepler’s primary mission. To begin searching the first data release of Kepler’s extended mission, Quarter 13, we need to finish Quarter 7. We need your help to make room for the new light curves. 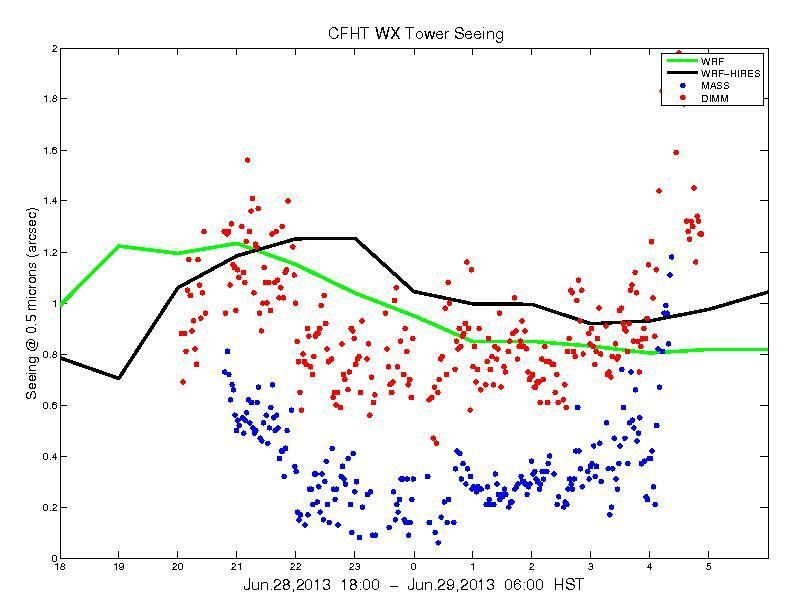 The Keck Observatory observing schedule was released online over the weekend. It’s released twice a year around June 1st and December 1st listing the exact dates those astronomers who have been awarded with telescope time will have on the 10-m Keck telescopes located on Mauna Kea. I was awarded one night by the Yale Time Allocation Committee (TAC) with the NIRC2 instrument and Natural Guide Star Adaptive Optics to zoom in around Planet Hunters’ planet candidate host stars and look for contaminating stars that may be contributing light to the Kepler light curve. This will allow us to better assess the planet radius and the false positive likelihood for those candidates. To learn more about NIRC2 and Natural Guide Star Adaptive Optics, check out a previous guest blog by Justin Crepp. 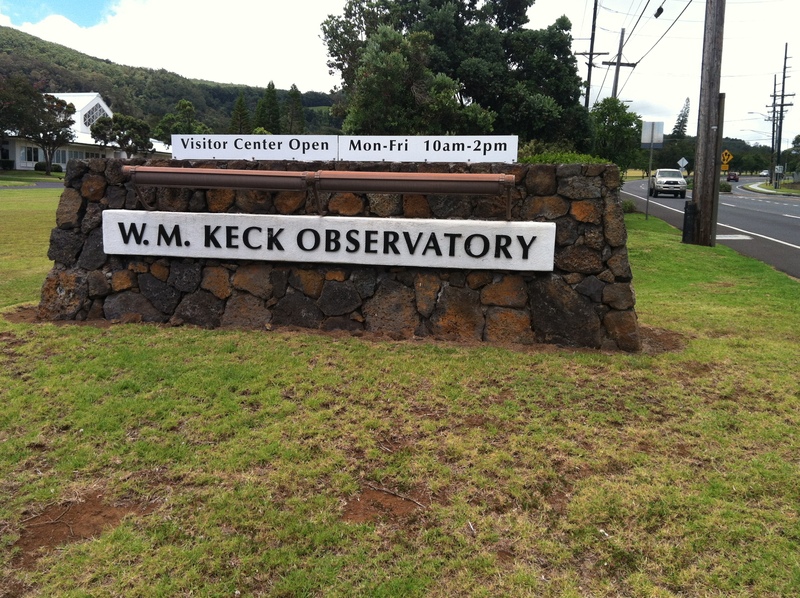 Our observing night on Keck II has been scheduled for June 28, 2013. The Kepler field (in the constellations Cygnus and Lyra and part of the Summer Triangle), will be high in the sky for most of the night and easily observable from Hawaii. Below, I’ve plotted the airmass (Y axis scale on the left ) and altitude (Y axis scale on the right) of the Kepler field for our scheduled night. Except for about an hour at the beginning of the night, the Kepler field will be above 30 degrees altitude and easily observable from Keck for the duration of the night. Part of the science team will be heading out to Keck Headquarters on the Big Island of Hawaii to observe. Let’s hope the night is clear. If it rains or is really cloudy, we’ll be out of luck. 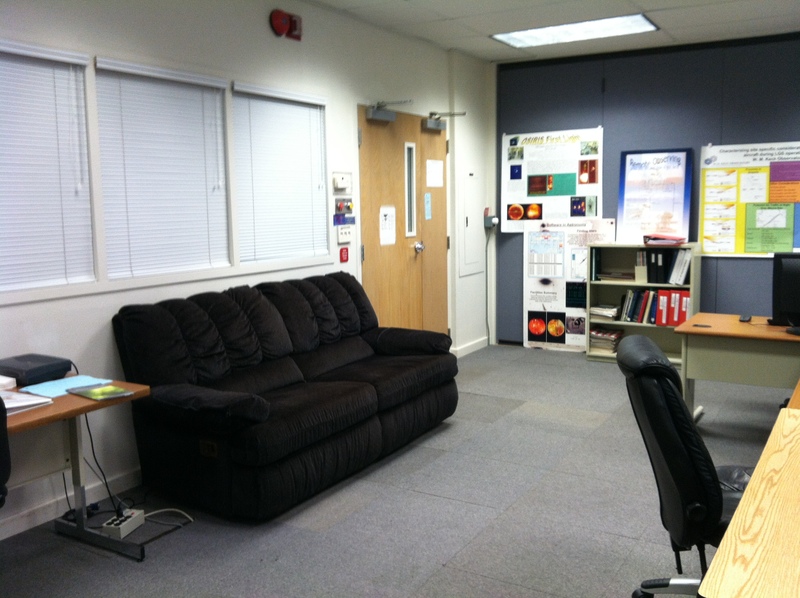 The rest of the nights on Keck II are scheduled for other observing projects and assigned to other astronomers. We would then have to try again next year and reapply to the Yale TAC for the telescope time. I’m hoping (fingers crossed) that the weather will cooperate and that we end up with lots of useful data. We won’t be going up to the summit of Mauna Kea (at 14,000 feet!) where the telescope is located on June 28th. A telescope operator will be run the telescope from up at 14,000 feet. 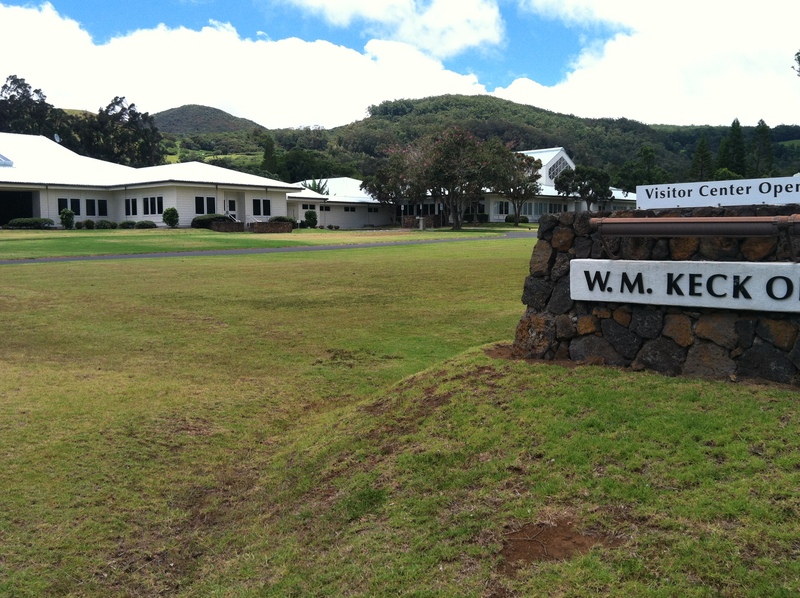 We’ll remote observe from sea level at Keck Headquarters (shown below) in Waimea, Hawaii where we won’t have to worry about the effects of being at high altitude. The operator will drive and control the telescope and the adaptive optics equipment. We as the night’s observers will control the camera and run the show determining where we want to point on the sky and in what order. We’ll plan and think more about the run next year in June closer to when we fly out to Hawaii. We’ll make sure to blog, tweet, live chat and keep you all up to date on how the night and the observing goes. To study and follow-up planet candidates we find with Planet Hunters we need telescope time. Nights on telescopes are precious and astronomers apply twice or more a year asking for the telescope time they need for their proposed research projects.Yale University has access to ~16-20 nights a year on the Keck telescopes in Hawaii. In September, I applied for telescope time to get a night on Keck II in order to zoom in around the host stars of our planet candidates and see if there are other stars that are contributing light to the measured Kepler light curve. In an ideal case the depth of the transit is equal to the squared ratio of the radius of the planet to the star’s radius. But if there is any additional light from a neighboring star in the photometric aperture this will dilute the transit making it shallower. Without knowledge of the contaminating stars, one is unable to accurately assess the planet properties, and will wrongly estimate a smaller radius for the planet. Kepler has relatively large pixels (with a pixel scale of 4” per pixel) and a typical 6” radius photometric aperture used to generate the Kepler light curves. This means that there could be stars contributing starlight to the Kepler light curve making the transit shallower. Using Natural Guide Star (NGS) Adaptive Optics (AO) imaging with NIRC2 on the Keck II telescope, we can achieve 10 miliacrsecond per pixel resolution revealing close companions within 5” of the planet candidate host star.We’ve used AO observations in the past to study PH1. Those observations were crucial revealing the second pair of stars orbiting outside the orbit of the planet. Also those observations helped us get the correct parameters for the size of PH1.The AO imaging basically lets us remove some of the blurriness in the star that we see in our images caused by turbulence in the Earth’s upper atmosphere (this is what causes stars to twinkle when you look at the night sky). The AO system helps morph the telecope mirrors in real time to correct for the changing upper atmosphere and get the resolution to see what other stars share the Kepler photometric aperture summed up to make the Kepler light curves you review on the Planet Hunters website. There’s good news. The Yale Time Allocation Committee (TAC) awarded us one night some time in June or July next year with NIRC2 for my proposal. Around December 1st, we’ll find out about the Keck telescope schedule and know exactly what night we’ll get to observe on Keck II. Since no one on the team has used the NIRC2 instrument before, we cannot remote observe from Yale, so some of the team will be heading to the Big Island in Hawaii. We won’t be observing from the summit of Mauna Kea (at 14,000 feet) . 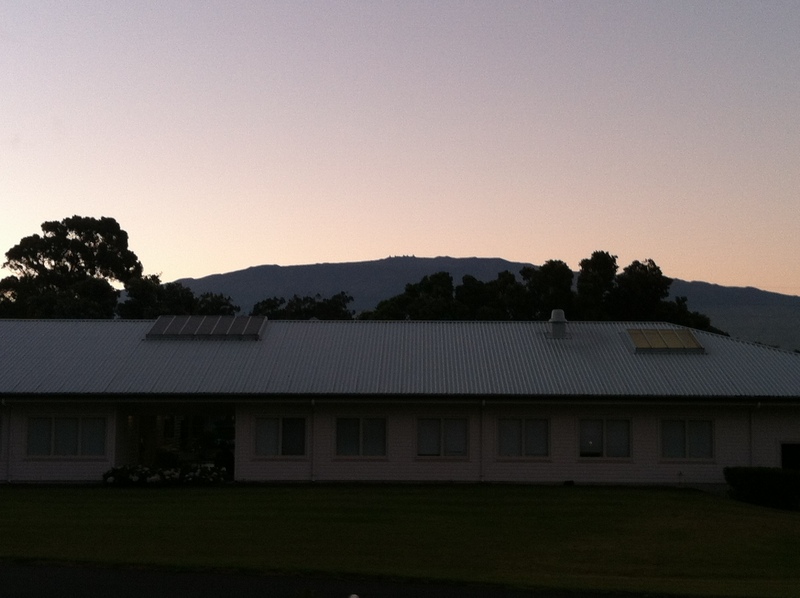 We’ll remote observe from sea level at Keck Headquarters in Waimea, Hawaii. Today we have a guest post from Bill Keel. Bill is a member of the science team for Galaxy Zoo, and is more accustomed to dealing with stars by the billion than one at a time. He is a University of Alabama astronomer, weekend trombonist, and occasional photographer, being gradually trained by two cats with names out of Tolkien. 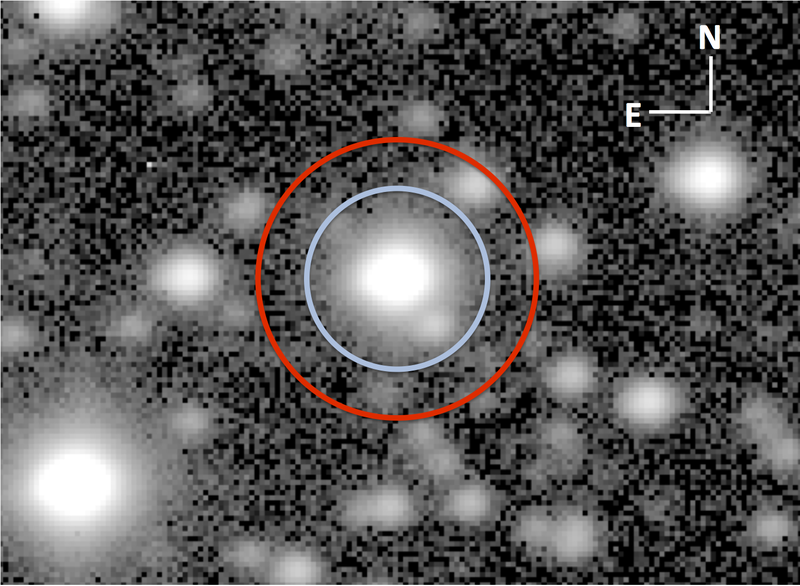 Both his Twitter stream and his posts on the Galaxy Zoo forum can be found under the name NGC3314, and his other professional exploits may be found at http://astronomy.ua.edu/keel. “We’ve found a planet with ~130 days orbit going around a eclipsing binary. The eclipsing binary has a 20 day orbit so the planet is circumbinary and there’s a third star in the binary+planet system orbiting out at ~1000 AU with a period of 10E4-10E5 years. We’ve been following up the system with Keck observations.” [We didn’t yet know at the time that this third star would itself turn out to be a binary star]. The region around this star from our perspective is very busy (like the whole Kepler field), and the Kepler measurement includes light from additional faint stars. One, in particular, appears about 3 arcseconds away from the star of interest, well within the 6-acsecond radius of a Kepler measurement. Knowing its brightness would help narrow down the planet’s properties, making sure we have the right starting points in brightness for the Kepler target star my itself. 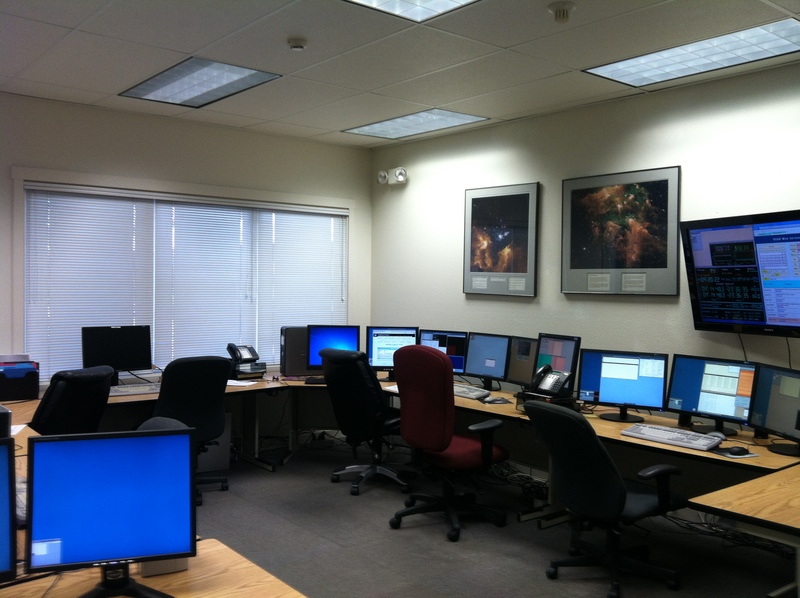 My institution is a partner in the SARA consortium, which operates telescopes in Arizona and Chile remotely. As a result, I have fairly regular nights scheduled, and indeed there were a couple of nights I could use at our northern telescope, a 0.9m instrument on Kitt Peak, Arizona, in July (just before shutdown for the monsoon season). After a couple of tries when the weather didn’t quite cooperate, including one night that was clear but the air to turbulent for this project, I got an hour’s worth of images on the evening of July 17. The image quality (seeing, in astronomical jargon) was 1.5-1.8 arcseconds, meaning that these values give the diameter across which a stars image drops to half its peak intensity due to atmospheric turbulence. That makes separating stars 3 arcseconds apart tractable. The timing worked out well during the night – the field was within 15 degrees of the zenith, minimizing atmospheric and tracking problems. Trying to get precision measurements of bright and faint stars simultaneously takes some care – good data on the faint star isn’t much help if the bright star is hopelessly saturated in the data. So instead of one long exposure, I took 60 1-minute observations, using a red filter to roughly match the midpoint of the very broad spectral band used by Kepler. For further analysis, that gave both the grand average of all 60, and I also used averages of subsets of 10 to help estimate certain sources of error in the processing. 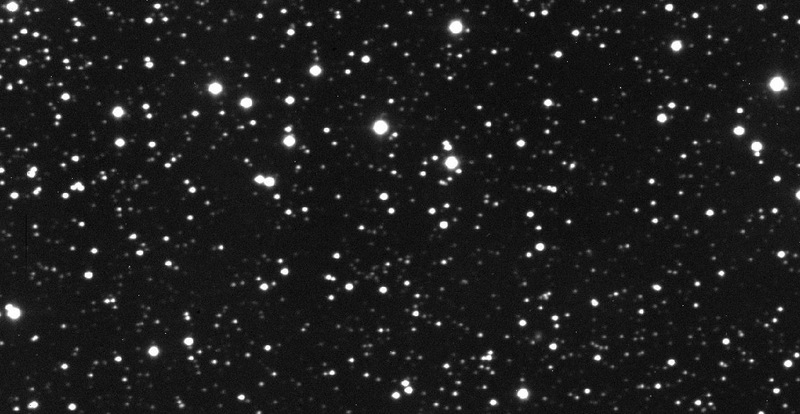 Even though the fainter interfering star was clearly separated from the bright one in these images, there was enough spillover to need correction.I tried several procedures or this – the most successful took as a reference point a similarly bright star with no companion in that direction, subtracting variously scaled versions of its image to eliminate as much of the bright star’s light as possible (the subtracted images looked a little odd in the middle – much later I realized that might come from the very close companion star seen in other data). To make sure we understood how our brightness measurements relate to the Kepler data, I checked published magnitudes for Kepler stars in this neighborhood. This gave me some bad moments until I realized that the published values were often based on short exposures with a telescope no bigger than I was using – bright stars are OK, faint stars become quickly much less accurate. Phew. Now I know this, so that if it comes up again, I’m ready. The result? That fainter star has magnitude R=18.73, making it only 1.02% as bright as the Kepler target with planet. Other contaminating stars are still fainter, down to 0.03% of the target star’s red-light intensity. The Kepler field is located in the constellations Cygnus and Lyra. You can find the Kepler field by looking for the Summer Triangle, the corners which are composed of the brightest stars in the constellations Aquila, Cygnus, and Lyra: Altair, Deneb, and Vega. Along the Deneb and Vega side, you’ll find the stars that make up the Kepler targets. As its name implies, the Summer Triangle and the Kepler field are high in the Northern skies during the Summer months. As August ends and we enter September, the Kepler field is slowly getting lower in the sky each night. By the end of the month it will be difficult to observe from telescopes in the Northern Hemisphere like the Keck telescopes on Mauna Kea in Hawaii and the WIYN telescope on Kitt Peak in Arizona. Astronomers studying the stars and confirming the planet candidates in the Kepler field will have to wait until next year to observe starting about May when the Kepler field will rise again above the horizon for a large fraction of the night. Even though we won’t be able to observe the Kepler field for several months, if we want to use the Keck telescopes to study Planet Hunters candidates next year we have to decide now what we’re going to do, what telescopes we need, and how many nights because of how observing time on these telescopes is decided. Observing time on telescope is limited and highly coveted. Astronomers compete to get time of these telescopes to observe, and there are more good observing projects than are nights to give on telescopes like Keck, Gemini, and the VLT (Very Large Telescope). For Keck and those telescopes on Kitt Peak, the time on these precious resources is divided between the institutions that built and maintain these telescopes. In addition a small portion of nights goes to NASA and the National Optical Astronomy Observatory, and the observing time from these two institutions is up for grabs and open to all astronomers at US institutions. So how does proposing and getting observing time exactly work? Usually twice a year, there is a call for proposals, asking astronomers to propose for time that they want and justify what they need it for. Then the TAC (Time Allocation Committee) meets, ranking each proposal. The top ranked proposals will get the time they ask for on the telescopes. Many times there will be good proposals that won’t get any time because the telescopes are oversubscribed, more people apply than time is available. At most you’ll be able to get a few nights on these telescopes if you are lucky. The nights on the telescopes from February 2013 through July 2013 are allocated this Fall. 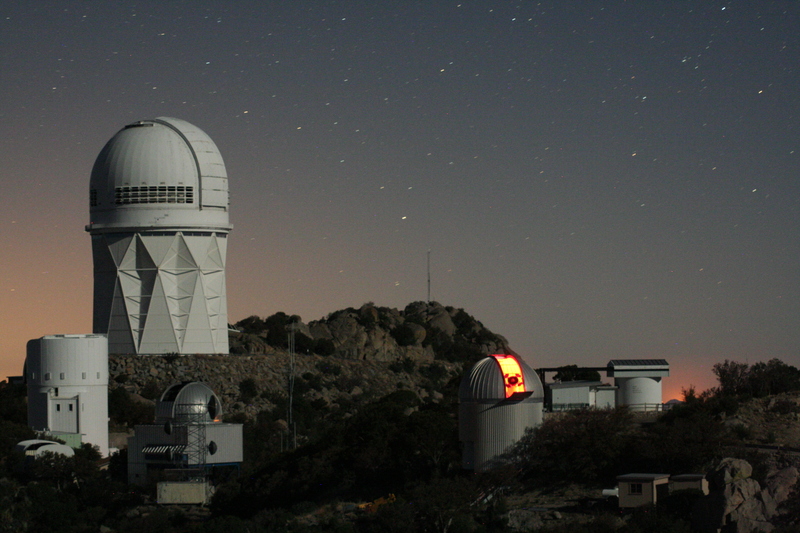 A place like Yale, we have access to the WIYN 3.5-m telescope at Kitt Peak, the SMARTS telescopes in Chile. We also have ~10 nights a semester on the Keck telescopes in Hawaii allotted to Yale observers. So this week and next week, I’ll be writing a telescope proposal where I need to justify what I want to do and why it is important. I’ll need to determine what instrument I need and how it needs to be set up. I’ll have decide how many nights are required to get the observations and come up with a list of targets to observe. If all goes well and with a bit of luck I get the time, when the Summer Triangle is high in the sky again next year, I’ll fly to the Big Island of Hawaii and take those observations I’m planning now.